Founded in 2005, the A3C Festival & Conference (Oct 3-7, 2018) has grown from a local showcase to become one of the most important hip-hop events of the year. The 2-Day Festival in downtown Atlanta features 3 stages, food trucks, live art and more. The VIP Upgrade enables access to the A3C Festival VIP Area presented by Don Julio, which includes the pit in front of the main stage and a lounge with a Don Julio tequila bar, discounted drinks, couches, tables and chairs next to the main stage. The VIP Upgrade is ONLY an add-on for the Festival or 5-Day pass. The VIP Upgrade itself does NOT grant access to the A3C Festival. The VIP Upgrade can't be used with a Conference pass. Wu-Tang Clan’s RZA, GZA, Method Man, Raekwon, Ghostface Killah, Inspectah Deck, U-God, Masta Killa and Cappadonna are coming to Atlanta to celebrate the 25th anniversary of their debut album, Enter the Wu-Tang: 36 Chambers. 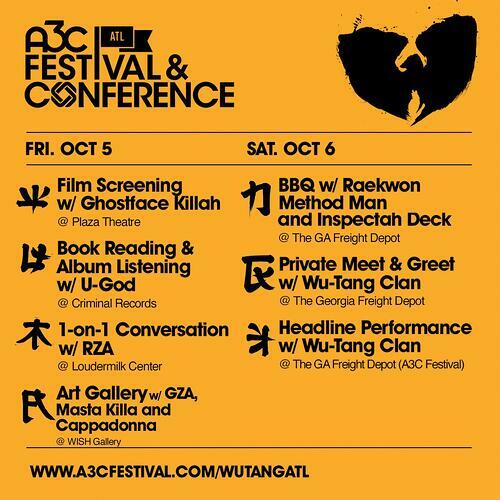 Every member of the Wu-Tang Clan is participating in a once-in-a-lifetime experience that will climax with a headlining performance at the A3C Festival. 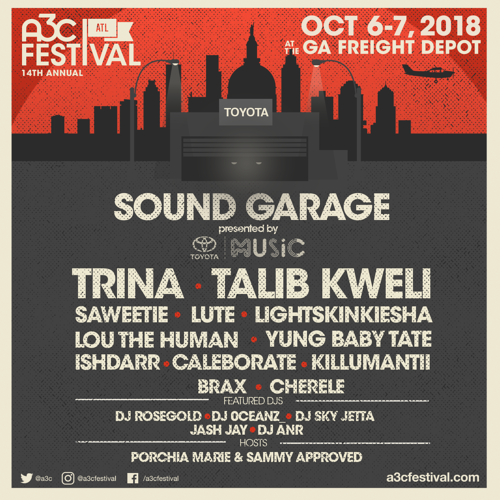 A3C is a great place to see emerging acts, to feel the pulse of ATL and an amazing place to exchange ideas, to pick up vital insight and see/hear/ discover some great music. 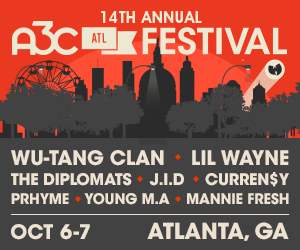 A3C is a hip-hop fan’s fantasy. The annual festival is getting bigger every year. 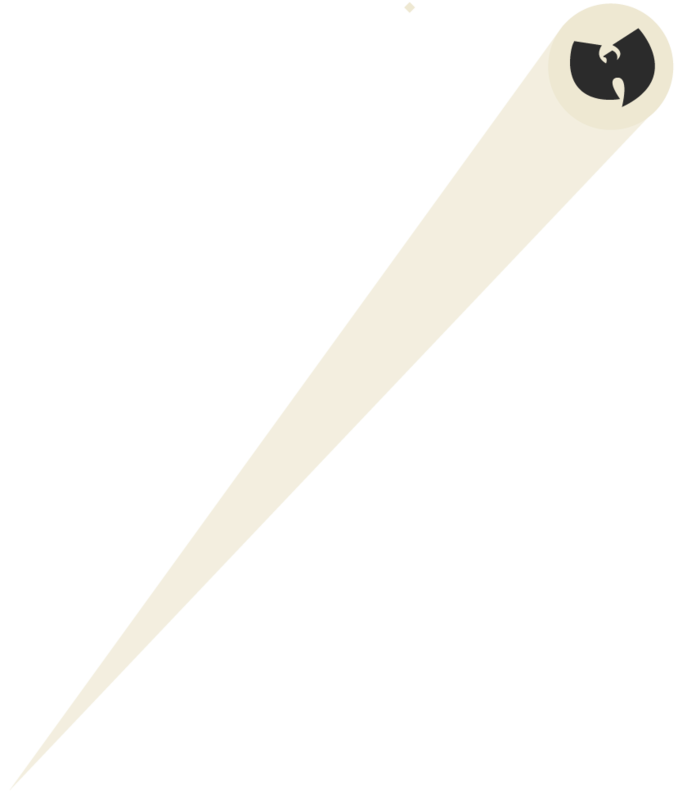 The festival offers something for every hip-hop fan, transcending generations and geography and welcoming both the trappers and the backpackers. A3C is the absolute best festival for rising Hip Hop talent. Their artist-first approach is priceless. A mashup of all things hip-hop, from the latest emcees on the block to the living legends. A3C and Atlanta brings about creative vibes for artists. It's true to the culture and pays homage to the greats.